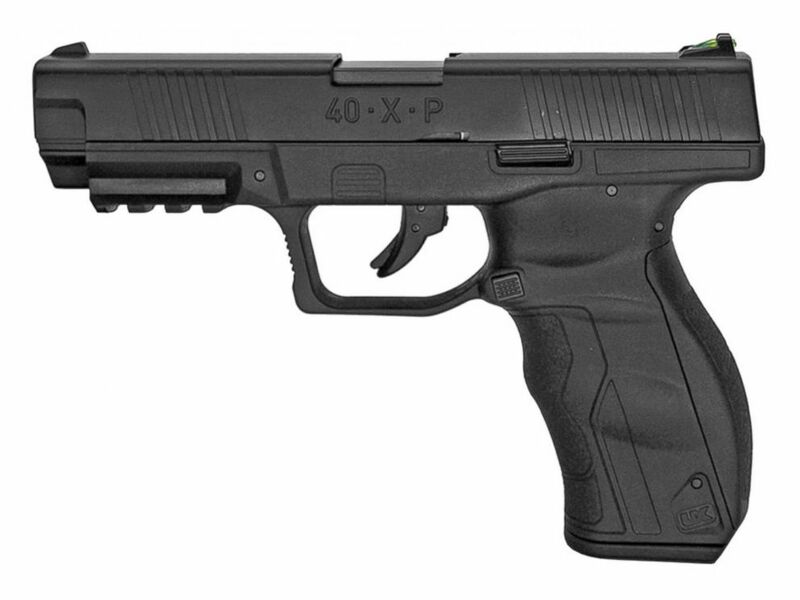 A 13-year-old boy fatally shot by police in Columbus, Ohio, was allegedly in possession of a BB gun that was nearly an exact replica of a police firearm, according to the city's mayor and police. The young victim, an eighth-grader identified as Tyre King, was shot after he pulled "what looked like handgun from his waistband as officers pursued him and two other robbery suspects," police said. 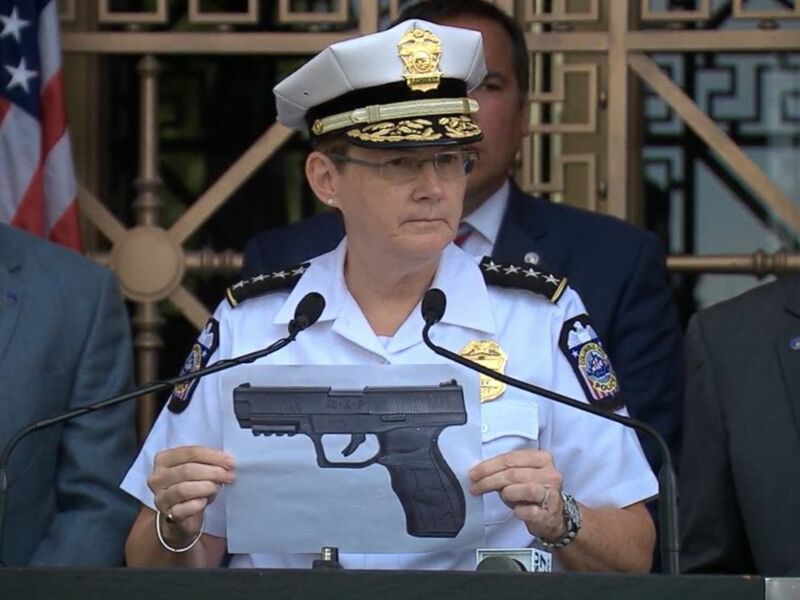 "Our officers carry a gun that looks practically identical to this weapon" found at the scene of the shooting, said Columbus Chief Kim Jacobs. "Some of the officers at the scene were very disturbed about the fact that here we are out at this time of the night chasing [apparently] armed 13-year-olds." In a 911 call reporting a robbery, a witness can be heard telling the dispatcher that a man had been robbed by a group of about seven or eight people. A member of the group "had a gun on [the victim]," and the others were "standing behind him holding their hands, too, like they had guns on them," the witness said. The man who was robbed said $10 was taken from him and described the gun as a pistol. Some of the group jumped into a gray car, while others jumped over a fence, the witness said. The eight-minute 911 call continued until the witnesses heard shots fired. "He’s shooting him," the witness said. "Oh my god." The man who was robbed then told dispatchers that he was not assaulted and did not need a medic. Columbus Chief of Police Kim Jacobs and Columbus Mayor Andrew Ginther speak at a news conference in Columbus, Ohio, Sept. 15, 2016. A weapon, later determined to be a BB-gun, was recovered from scene of police-involved shooting in Columbus, Ohio. One of King's family lawyers, Sean Walton, disputed police's version of events, saying "multiple witnesses that we have been made aware of that do not corroborate the current narrative." He also described King as a "normal 13-year-old" and that the actions described by police "are out of his normal character." The family's legal team called for an independent investigation. Mayor Andrew Ginther today called the boy's death "troubling" and said this should be a "call to action" for the community to help keep neighborhoods safe. 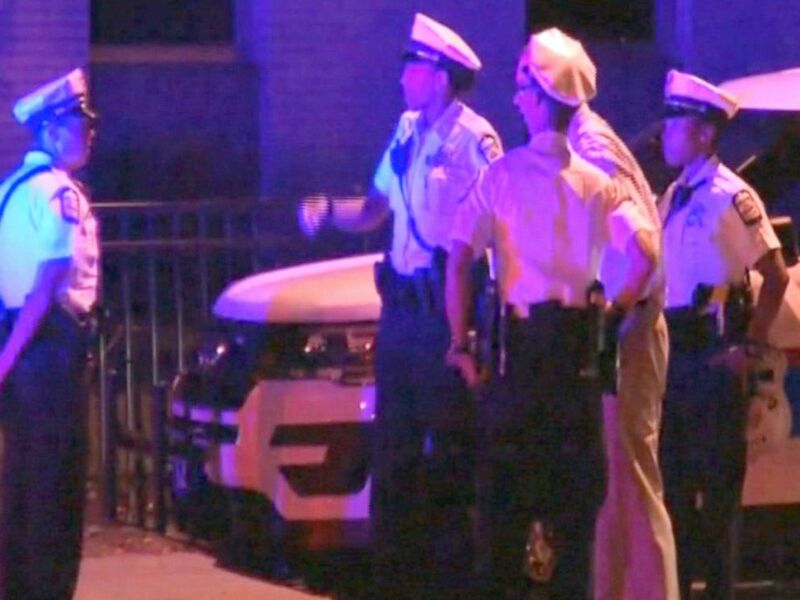 The shooting happened Wednesday night after police say the teen pulled what looked like handgun from his waistband as officers pursued him and two other robbery suspects. The officer shot and struck him multiple times and the boy was pronounced dead that night at the hospital, police said. The weapon found at the scene was later determined to be a BB gun. Jacobs this morning called the shooting a "tragedy," saying that after all the evidence is gathered, the investigation will be turned over to the prosecutor's office, which will present the case to a grand jury to determine if criminal charges should be filed. Ginther promised the investigation into the shooting will be thorough and asked for "patience," saying an investigation "takes time." A Columbus Police officer shot and killed a 13-year-old suspect following an armed robbery on the near east side, Sept. 14, 2016, Columbus, Ohio. 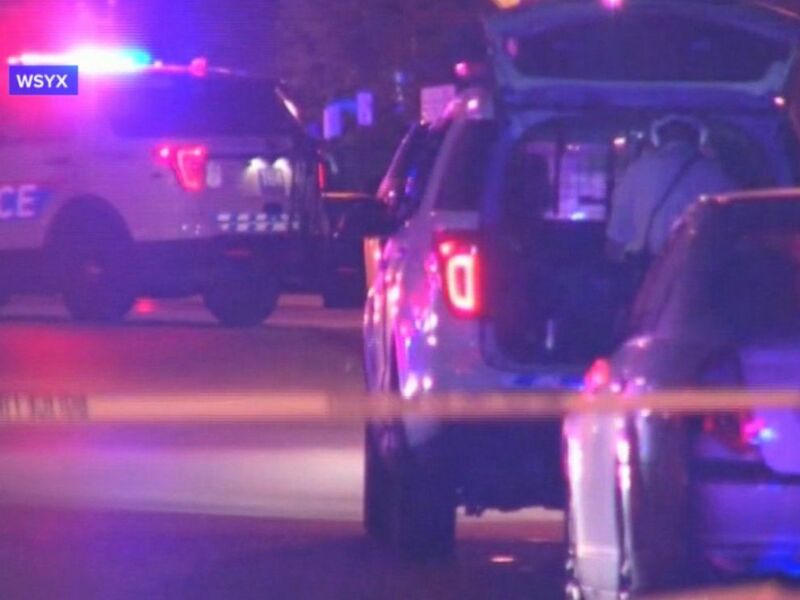 Police are investigating an officer's shooting of a 13-year-old boy who fled the scene of an alleged armed robbery Wednesday night, reports WSYX, a local ABC affiliate. The police pursuit that night stemmed from a report from an alleged robbery victim, police said. The victim told officers that a group of individuals had approached him, one of them brandishing a gun, and demanded money, police said in a statement. Officers responded to the scene, where they said they saw three males matching the victim's description of the suspects and approached them, prompting two of the males to flee on foot. The officers followed the males to a nearby alley and attempted to take them into custody. One suspect pulled what looked like a handgun from his waistband, the police statement said, and that's when an officer fired at Tyre. "Detectives processed the shooting scene and collected what appeared to be a handgun," the police statement said. "Upon further inspection, it was determined to be a BB gun." The officers and other suspects were not injured. Ginther said today, "Our thoughts and prayers are with everyone involved." He added, "We ought to be shocked and angry. ... We’re the safest big city in America, we have a 13-year-old dead, that's unacceptable." Tyre was a "typical 13-year-old" who played football, soccer, hockey and gymnastics, said Walton. Walton said "the actions described by the police are out of his normal character." Tyre's family "asks for support from their community as they seek answers in this tragic killing," Walton said. "There are allegations that have been made regarding his actions, and those allegations cannot be taken as factual until a thorough, unbiased investigation has taken place," he said, adding, "There are multiple witnesses that we have been made aware of that do not corroborate the current narrative." Family attorney Chanda Brown took issue with the Columbus PD investigating the shooting itself. "The Columbus Police Department has a history of investigating itself following these officer involved shootings and we believe that these investigations are inherently biased," Brown said. "The best thing that the City of Columbus could do to ease the minds and fears of its citizens is to step aside and let an independent party investigate the matter." Jacobs said the officer involved has been placed on administrative leave for one week. He will see a psychologist before returning to work, she said. "I will not let an officer out on the street ... if I don't trust them," she added. Anyone with information about the shooting is urged to contact police, said Ginther.